Sony’s State of Play livestream is currently being bombarded with dislikes, which is just about as predictable as the sun rising tomorrow. In this instance, however, it feels just a teensy bit unfair, because the platform holder put together a broadcast that actually exceeded my admittedly low expectations. It’s really no wonder the manufacturer has been cancelling press conferences and keeping its collective trap shut – it seems the company can do no right in the eyes of insatiable fans. Look, I understand that today’s stream was light on the biggest of blockbusters, but when we’re predicting literally minutes of Sid Shuman playing MLB The Show 19 ahead of time, then how can you really be disappointed with this swift look at the PlayStation 4’s next three months? Clocking in at 20 minutes, this was a beat-by-beat replica of the Nintendo Direct format – a positive when you consider how the House of Mario has its communications mastered to a fine art these days. I really enjoyed the speed of the announcements, and how each title was given an equivalent amount of time to shine. 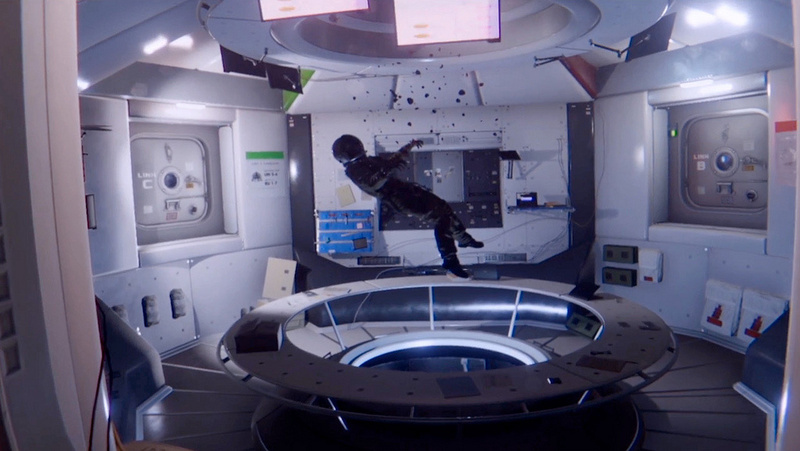 Save for a PlayStation VR montage – look, sceptics, the Japanese giant continues to support its fledgling virtual reality platform – each title was given a couple of minutes in the limelight, before it was time to move on to the next thing. There was definitely an emphasis on upcoming titles, with Concrete Genie being the only real release coming towards the end of the year. And considering that Sony is paying the price for early announcements in the past, it’s reassuring to see it focusing on the present. Iron Man VR was perhaps the biggest “surprise” reveal, and while it didn’t look great, it’s since emerged that this is Marvel Games and PlayStation’s latest project – a fruitful relationship which resulted in the excellent Marvel’s Spider-Man roughly six months ago. Let’s give everyone involved in this project the benefit of the doubt for now, shall we? I think you’ve got to hand it to the platform holder: each time the PSVR well looks dry, it refills it. Blood & Truth looks like a genuine stunner, with first-party production values above and beyond anything we’ve seen on the platform to date. But there’s tons more to look forward to with Trover Saves the Universe and Everybody’s Golf VR also on the way. And let’s not forget the Five Nights at Freddy’s and No Man’s Sky announcements – big news for the headset. Of course I do recognise that not everyone’s interested in PSVR, but it’s perhaps time you got the message that this is an important product for Sony and it’s showing no signs of relegating it from its portfolio. As a big fan of virtual reality, I’m personally pleased that it continues to invest heavily in the device – and I can’t help but feel that the same people complaining about the product’s role in today’s stream would be the first to stick the boot in if the platform holder wasn’t paying it as much attention. And that’s why I hope the manufacturer is putting the overwhelmingly negative feedback to this first State of Play through a filter. There are things that it can improve, and the content will no doubt get better as the format becomes more established – but it’s got something here. Yes, it’s heavily inspired by the Nintendo Direct – borderline plagiarism, in fact. But it can work: this is a great way of getting information out, and assuming it sticks with it, I’m already looking forward to the next instalment – even if I am on my own. What did you think of State of Play? How do you think the format could be improved, and what kind of realistic content would have made tonight’s stream better for you? Don’t dislike the article in the comments section below. Doods!! Sony letting everyone know VR the real next gen!! Awesome 'direct'!!! My VR headset been gettin worked. Now it's in big trouble! I do think it's fine for them to put some spotlight on VR, that is fine. But it does feel like they paid that far more attention than anything else really. I get it, it's their first one, and it isn't like Nintendo hasn't had rough directs either. 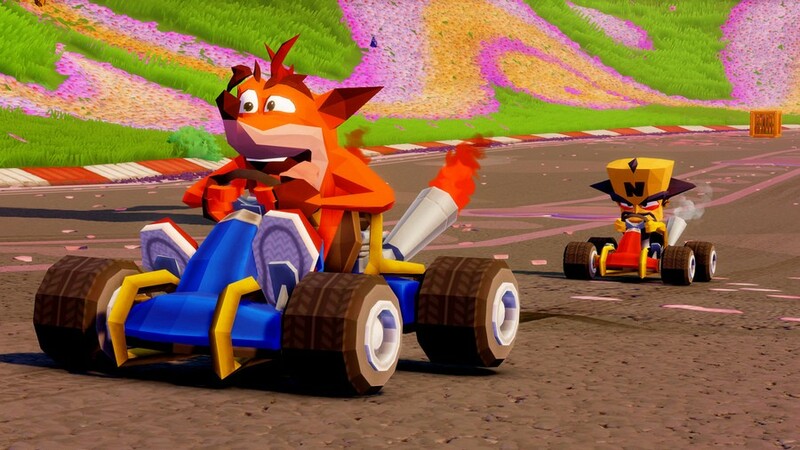 But as someone that is a Sony fan that has no interest in VR, and can't even use it without crippling headaches, it does feel like they left me in the dust of Crash's beautiful polygonal racing model. Criticism is fair, it's how they improve on this stuff. I think they could balance it better between VR and PS4. Or do what Nintendo used to do and do platform specific shows, or as they do now, Indie ones and then big ones. They are on to a good idea here, granted it isnt theirs, and its been proven to work. There is no excuse why Sony shouldnt keep doing this and make them better. Also hilarious how many people laughed at the idea of no stage shows and Directs when Nintendo began that trend years ago. Look where we are now. Suddenly its the modern way of advertising. People are incredibly entitled in some comments. I finally could watch it and it was great. Days Gone of course is awesome. Most of the 'direct' was focused on VR and it's cool. I can imagine if it was about the big games people would go 'psvr' is dead or similar cleverness. Next month just before E3 would be a great time to focus on the big games. I enjoyed it anyway and it's nice to think its going to be a frequent event. I don't get the hate at all. Some people honestly thought that Iron Man game was going to be Square Enix's Avengers game. Like you really think they would show that off here? What on earth were people expecting? Sony needed to show that their very much still behind VR, plus nearly everything they showed were games coming in the first half of year. Sony honestly must be thinking "WHAT THE HELL YOU WANT FROM US"? @Amppari Why? It was awesome, who the hell wouldn't want an Iron Man game. The first one was always going to be a victim of expectation. Whether they admit it or not, most people had the mindset that this one presentation would completely supplement E3, which it was never going to do. I think keeping a more constant stream of announcements throughout the year will be a good move for Sony, but first they need to break it in. I'm just not sure what people expected. Sony's got a whole year (or thereabouts) to pad out with these things before the inevitable PS5 reveal. It's not going to be throwing out release dates and trailers for Ghost of Tsushima and The Last of Us: Part II every month. Genuinely, the stream was better than I expected. Like Sammy says in the article, we were all sitting here thinking that it was going to be an hour of Sid Shuman and pals playing MLB: The Show. What we got was actually well put together and straight to the point. We're become accustomed to huge Sony shows like E3, to the point where anything less is met with extreme negativity. I get it, but the expectations are totally unreasonable. I just think that we're at an end-of-generation point where Sony can't win. It needs to do stuff like State of Play to keep people in the loop — that's the alternative to a traditional E3 showcase. The best part is that if Sony did do an E3 showcase, the same people would be complaining that it's just the same old games that we've seen three years in a row. Sounds like a damage control to me. @snakemake Or maybe they had realistic expectations unlike some on here. The only part that got me excited was Iron Man, until I realised it was just a VR game. I think the format was great. Like all Sony shows recently, it would have been nice if it was longer; but i think its something to build on. Whistling through titles was an interesting approach. Yet to decide if i like it. Iron man looked good, but on first viewing has the potential to be quite repetitive. @AdamNovice I think the PSVR focus was the last straw that broke the camel's back. You have to understand that there are only 4 millions of those devices sold for over 94 millions of consoles shipped. No surprise those potential 90 millions of people could feel left out. @snakemake So VR users should be ignored then? There's plenty coming for PS4 players. People just obviously had ridiculous expectations when this was their first time plus there's more to come. I thought it was brilliant as a promotional tool. Snappy pacing, zero filler, sharp format and excellent voice work. The fact that very little of the content was of no interest to me doesn't blind me from the fact that this is going to be an excellent connection between Sony and the fans. Thanks Nintendo. I liked it. It was straight to the point by showing us games, games and games. @Frigate See this is how people SHOULD be looking at it instead of this entitled outlook. It's a shame cos I thought the Push Square community was better then this. I thought it was alright. I have a VR headset that doesn't get much use, but I thought Blood and Truth looked fantastic. The London Heist was the whole reason I got a VR headset, and nothing I've played comes even remotely close to that experience, so I'm tepidly excited! The Iron Man VR game looks really rough, and I was almost excited for a second until I realized it was a VR game. I'd love a single player Iron Man game akin to Spiderman, but eh... What can you do? Anyway, I hope the stick with this. @AdamNovice I forgot quotation marks when I wrote "fans". I kid, I kid. I get why people are knee-jerking like this but to expect a PS5 bombshell or release dates for their very biggest titles in the pilot is actually kind of hilarious to me. It's kind of sad to see that the public will not react well if it's not a new AAA-GOTY contender. And it's also funny to see that everyone complained that Sony was announcing its games very early. And now that they've stopped with that, people complain that they do not have anything to announce. Thinking of it. These are meant to be short directs. The first one being almost exclusively focused on psvr makes sense. Wouldn't it be best to have non vr games in another more focused event? @Areus I prefer niche games, but as one of the majority who can't use VR I'm not happy that it feels Sony might be abandoning traditional PS4 games in favour of PSVR games that are as useless as cancer is to me and many others. The format is really cool and I hope Sony keep bringing updates with State of Play. I was really expecting them to announce the next PS Plus games, they could do that during the video. Great article. I agree 100%. Even if most of the games didn't interest, Sony nailed the format and pacing right out of the gate. Completely agreed on all points, and I'm sure they'll definitely be looking at the response through a filter. A lot of the negative reactions have been knee jerk and slightly short sighted. I'd rather see more from GoT and TLoU closer to release, otherwise it's just going to feel dragged out all year and people will complain about that instead. But then to be fair, lots of people just didn't see anything that they want, but there's more to come. Very much hoping they stick with this format, and count me among the people looking for ward to the next episode. @ED_209 Damned if you do, damned if you don't. I'm quite please they are copying Nintendo on this, been quite jealous of Switch owners for a while due to the Directs. I like nintendo direct so I don't have problem with state of play, infact I want sony to higlight more indies with it, like Playstation ❤ Indies focused state of play. I think it's unfair and super unrealistic if playstation fan expect new big exclusive AAA games like tlou 2 or ghost of tshushima every time there's state of play, although I do wish we get more 4k + 60 fps remaster ps3 games. I was so excited to watch when I could that I clicked on the first video I found and so if was a YouTuber reaction thing. When Days Gone was shown the guys reaction was 'oh this one is on some people's radar so I guess that's OK to show'. Rolling my eyes I went to find a neutral video. That's how I feel a lot of people got to. So entitled. Everyone complimenting the format - it was a complete ripoff of Nintendo, even down to the way the news about one game transitioned to the next. I don’t mind Sony going down the same route, as I’ve always enjoyed the Nintendo Directs, but let’s not pretend that Sony invented a brilliant format here. I thought the content was disappointing (and I own a PSVR). With so much «ok, not great» content, Sony should’ve just dropped the State of Play video online, without an announcement about it a week in advance. It was superb and it respected my time. Straight to the point. @Sinton Ummm its just a format, no one is saying they invented it, get over yourself. Who voiced the State of Play? She sounded extremely familiar for some reason. I’m not that bothered if they didn’t announce much. I constantly feel like I’m drowning in a sea of games (and I only game on ps4) and yet people want MORE! MORE! MORE! all the time, like hungry baby birds in a nest. It’s a kind of Violet Elizabeth Bott reaction to everything in gaming. Instead of it being a bunch of products that needed an advert, it felt like an advert that needed a bunch of products. If there wasn’t anything big enough to celebrate, why bother with such an elaborate set up? It provided news for the next couple of months worth of gaming. It's just a quiet spell. They can't fabricate games out of fat air. They'll also be saving their big guns for bigger events. You seriously think they're going to announce the PS5 and the like during an SoP? Nintendo on the other hand will have nothing new to announce for most of the year now because they've done it too far in advance. And in most of their Directs they have gone over games that were previously announced. Rarely do they announce new games during them. The issue here seems to be high expectations. Nintendo fans know by now not to watch a Direct with them due to being let down so many times. It's funny watching history repeat itself. Just settle down and keep your expectations realistic. @Sinton And Nintendo copied it from somebody else. If you're looking for original ideas you'll be hard pressed to find them. @TowaHerschel7 It's not a shift away from them. I hate saying this, but you just have to look at it from their perspective. 1. Promote your peripheral whilst the main console has strong momentum on its own. 2. Announce new games closer to release date. 3. Save big new games for more significant events to increase impact. These things together result in what we got. If you throw everything into one showing then you have nothing left for the rest of the year. They will choose announcements tactically. Which is the best thing to do. Just caught up and thought it was pretty poor to be honest. I liked the slick format but none of the announcements really meant anything to me and it just feels like they didn't really have that much to say. You can talk about people having too high expectations and maybe that's true but at the end of the day people are entitled to think it wasn't that good. Excellent write-up Sammy, I totally agree. It's exactly what I was expecting and hoping for. The focus on the recently-upcoming games makes total sense and leaves room to add in the more distant future releases another time. If they are doing these every few months, you wouldn't want them showing TLoU2 every single time, save that for when it's closer for release. I'd rather know about the games coming in the next couple of months. The format was good the game choices let it down. It was nice to see VR support but the balance to Standard Ps4 games and indies was way off. This is the first time we have heard from Sony since E3 and they needed a biggish announcement even if it was just announcing whatever bluepoint is working on or even a 1 minute clip of Final Fantasy 7 Remake gameplay just to show it still exists. With Sony skipping E3 and no PSX last year it gives the impression the PS4 is limping its way to the PS5 announcement. I am sure thats not the case and they have some stuff it would of been nice to see something. Seems Medievil and Dreams dont get very much love from Sony they are hardly shown. I can only echo what's been said already by Sammy and Robert. State of Play isn't going to bring the top level exclusives everyone was expecting; this is, at best, going to be a show we'll see every couple of months. You can't expect Death Stranding and The Last of Us 2 to show up each time. I'm sure they'll appear when Sony's ready to say something, but it's got to balance things out if it wants to continue doing this. I thought it was pretty strong. Following the Nintendo Direct format is the best idea, honestly, and it was well put together and had plenty of cool announcements. I was pleasantly surprised. Frankly, anyone who's disappointed only have themselves to blame. It was... ok... I guess? Average at best, and poor at worst? There was some neat new announcements and a few new details to stuff already revealed (So excited for Crash Team Racing: Nitro-Fueled! ), but at the same there isn't exactly a whole lot they can show either without going on about the same things they've already mentioned fifty times over already. I understand the critique in the sense it lacked a major impact announcement, which would have been interesting and helpful in creating an audience. "but it’s perhaps time you got the message that this is an important product for Sony and it’s showing no signs of relegating it from its portfolio." What an awful sentence. What's important for Sony isn't what's important for gamers. Especially since approx 95% of players who own a ps4 don't have psvr. Dictating what gamers should enjoy is exactly why people are unhappy with Sony right now and you shouldn't be justifying it. @jswhitfield8 You're skewing the stats in order to bolster your argument. What you should be asking is how many SoP viewers own PSVR. The vast majority of PS4 owners are not gamers like us who follow the news or watch things like this. The other thing you need to consider is that SoP and ND are designed to sell us a products too. So there might be gamers who watched it and are now sold on PSVR. Classic fake outrage at its finest, you would think sony hadn't released anything good this whole generation going by the comments. You know what games are coming, you know they are going to be amazing just like the rest, hold on to your underwear and just wait, there will be more announcements and trailers for those games in the future, they aint going to bust it all out in the 1st episode. The format is good and I like the idea. I'm not surprised people were flipping out about what was shown. I thought it was pretty weak. But then I was also expecting nothing so I'm not throwing my PS4 on a bonfire just yet. Perhaps next time one of these rolls around people will have the correct level of expectation for it. Perhaps Sony could help with that by saying up front that it's going to be mostly VR stuff or whatever. Either way, it's a good idea to do this. Wasn't excited by anything this time round. @JJ2 I was looking at some of the trailers on YouTube again this morning. The 4 or 5 that I checked seem to have all been very well received individually. Lots of upvotes. But the majority are still unhappy with the episode as a whole. While I really liked the format - it was very similar to the Nintendo Direct approach - it was lacking a human element. I liked that it got to the point and talked about games, but it was all so mechanical. It was as if Cortana (the Windows 10 helper, not the Halo character) was guiding me through a YouTube playlist. I give it high praise for being informational and low praise for being entertaining. I think, in time, Sony will find it's stride with it's State of Play series. I do think Sony needs to loosen up a little bit, though. The company is very stiff with it's communications. Video games are supposed to be about fun - have some fun presenting them. Find that balance between getting to the point and having a little fluff. @roe It is when most of the hate stems from people who don't have VR and are acting like their been ignored. @jswhitfield8 And what if Sony ignored VR then people would be having a go at them for that. What Sammy is saying is that Sony have a product their still trying to sell. PS4 can look after itself so VR needed more focus. @Shepherd_Tallon I reckon it's a load of Nintendo fans who hate Sony using the Direct format cos anything Nintendo do is sacred apparently. I didn’t watch the SoP, but was gonna comment here to tell the author that the last thing you should do is treat the dissatisfied members of the audience with absolute contempt and name calling. Thankfully, it looks like the lesson was swiftly learned as the article has been slightly amended. Whilst those complaining may have placed too high expectations (what else is new?) and being enraged for enraged sake, the last thing you then do is belittle them and make them feel like their concerns or disatisfaction can be completely tossed aside. It’s something that is causing a lot of animosity in today’s world. So instead I can commend the author for realising this and amending the article to instead explain why people’s anger is misplaced and created by their own unrealistic expectations rather than anything caused by Sony. People will always have expectations that are too big to meet. With that said, I liked what was shown and hope State of Play continues beyond 2019 (they haven't said it would). With Nintendo's Switch there's so much potential, even ports can excite people. With PS4, there's a few known releases, we are all expecting PS5 in some form, VR is all the PS4 can work with, and it's good they're trying to push it, but PS4 is done. A PS5 State of Play will blow people away, new chapter in PS life! I didn't notice any contempt in the original article. I for one don't hesitate saying when I disagree with articles but for this one I found it should deride the misplaced 'outrage' for what it is without holding back. Console war chatter and entitled gamers sound off nothing new on console gaming. I loved the bold statement PSVR is strong and here to stay form Sony. I really enjoyed it over all and cant wait to see what the next one brings in a few months. People don't get that shows like this is more about whats happening in a short time span not for a full year or years like a E3. We have only seen a small part of Sony's State of Play for 2018! With more shows incoming. The first one was terrible. Let's hope the next one happens around E3 and shows TLOU P2. Meh. 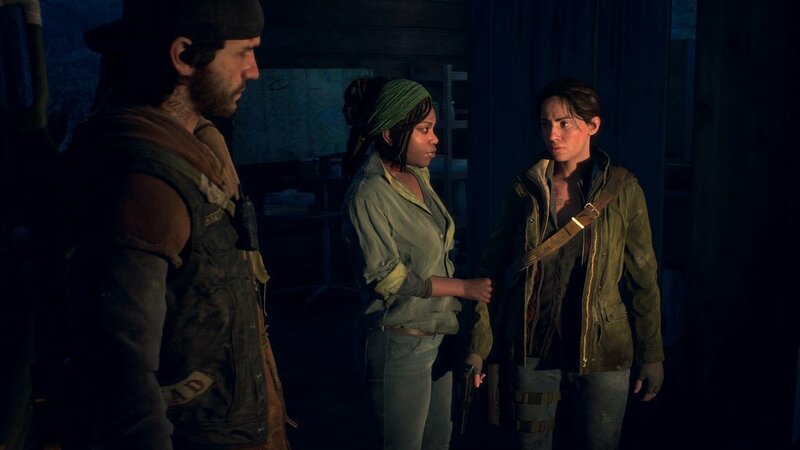 Last of us 2 we want. While the VR announcements don't do much for me, I think it's great they're still supporting it. Years back, a lot of people even here said it would just be a fad or a project that Sony would abandon, but they're sticking to it and it's great. They want it to succeed. All the people who want Last of Us and Ghost of Tsushima need to be patient. Their time will come. @AdamNovice Maybe so, but I think it's mostly Xbox fans doing a lot of downvoting. A waste of time. Will not be watching another. They should have just put out a press release with a list of links to the games. This was like the PlayStation Classic of live 'Directs'. You gotta wonder if some of the gaming community members hating on the SoP have an undiagnosed mental illness. Anyway more episodes should tide us over until Sony is ready to talk about the PS5. I liked it but then I have a PSVR headset. Seems like people criticising it are the people who don’t have access to VR. I love Playstation and I'm sure these will get better with time, but I'm not turning into an apologist either. The games were "meh" at best and that's why so many people are upset. They'll figure it out. I got a PSVR in December, and was a little worried at first. Are there enough games for me? What does the future look like? Will Sony still give it tons of support? Or is this Vita 2.0? After getting it, loving it, and still finding stuff for it, I'm happy to see so much more to look forward to!! It's one of those things, you kind of have to take a leap of faith, and once you're in, you wish you'd done it sooner. Tired of people shrugging off psvr as a gimmick. It's not 100% where perfect vr should be, to be honest not even 50%, but without early adopters and enthusiasts new developments will never take off. I don't want to experience games the same way with a dual shock 8 in 2039. I thought it was fine. Crash Team Racing and Days Gone look great as always. And even though I don't have PSVR, the support for it was nice to see. There's definitely room for improvement but I didn't think it was bad. There have been a lot of duds with Nintendo Directs too so I'm not even the least bit concerned.